Sara Klotz de Aguilar, who first made her name as a talented Bay Area soloist, now leads Swingtime, a lively band that captures the style and heart of 30's and 40's jazz. 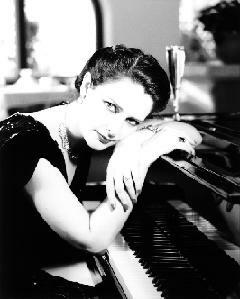 Inspired by the Teddy Wilson recordings of the mid-1930's, Sara's piano and lively vocals on familiar tunes make it hard not to sing along! Includes Cheek to Cheek, Swing is the Thing, and St. Louis Blues.
" ... the whole effect is original: clean, sprightly and swinging, with both lyric delicacy and percussive power." 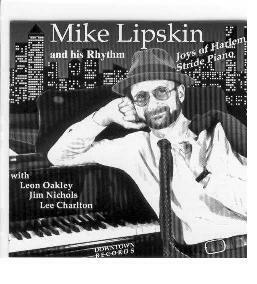 Mike Lipskin is one of those exceedingly rare contemporary jazz pianists who play Harlem Stride, the sound of Fats Waller, James P. Johnson, Duke Ellington, and Art Tatum. Learning at an early age from New York City stride masters, and now a master and internationally-recognized stride expert himself, he regularly delights Bay Area audiences with his own sparkling performances. 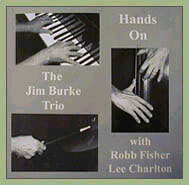 This CD includes the first recording of Miami since 1926, along with four Lipskin original compositions. "Lipskin displays the virtues of technique, soul, freshness, and the spirit of youth in his flawless interpretations of Stride pieces."